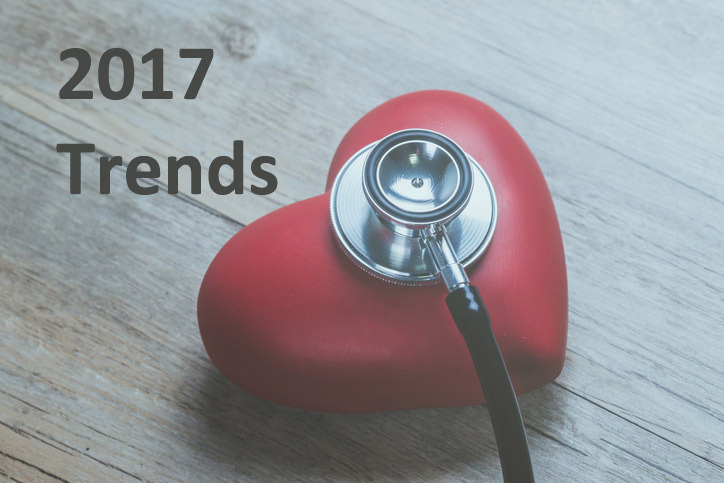 With another turbulent year behind us, we look ahead to the pharma trends that we believe will shape the industry in 2017. We predicted in our pharmaceutical industry trends 2016 blog that the year ahead would be challenging. That has indeed been the case, aggravated by political uncertainty in the US, the European Union and elsewhere. There were also regular outbreaks of bad press, as issues such as drug pricing, marketing and barriers to competition attracted close scrutiny from regulators and other stakeholders. The need for the entire industry – be it big pharma, biotech start-ups, mainstream generics companies or new biosimilars contenders – to embrace disruptive change in its business model and practices, is a common theme in our 7 pharmaceutical industry trends for 2017. The reverberations from sharp criticism of ‘price-gouging’ – on both branded and generic products, as well as new and established medicines – during the US election will extend well into 2017 and beyond. This trend is not limited to the US, as evidenced by recent action against companies accused of overcharging the UK’s National Health Service massively for generic drugs. At European level, Malta says one of its main healthcare priorities as the country takes up the presidency of the EU Council will be to seek more transparency and cooperation in the way pharmaceutical companies negotiate pricing and reimbursement with purchasing authorities. Major international markets, such as Germany and Japan, are also moving towards tougher price controls on new medicines. Some big pharma players (e.g., Allergan, GSK, Novo Nordisk, Eli Lilly) are already saying ‘enough is enough’ and committing to voluntary price restraints or greater emphasis on volume-driven sales. Others, such as Novartis, Amgen and Roche, are coming out in favour of value-based pricing. In this challenging environment, industry needs to show better price transparency while finding new ways to build, demonstrate and monetize drug value. That will include more pay-for-performance deals, such as those struck by Novartis with two US health plans last February for its new heart-failure drug Entresto (sacubitril/valsartan). More demanding criteria for pricing and reimbursement, with persistent variations from one country to the next, will continue to raise the bar for market entry. You can read more about this in our downloadable guide “Making launches count: How to optimise ROI in a lower-margin environment“. Among the markers of this convergence is the explosion in healthcare apps and other digital innovations, geared to boosting connectivity and engagement between all players along the healthcare chain. Growing healthcare investment by technology giants, such as Apple, Google and IBM, is also feeding this emerging trend in the pharmaceutical market. The evolution of health wearables, from consumer luxury goods to regulated medical or digital-health devices, with a key role to play in areas such as data-gathering, disease monitoring or drug compliance, goes in the same direction. Underlying these technology trends in the pharmaceutical industry is the rapid proliferation and paramount importance of data in healthcare. As noted in our pharmaceutical product launch checklist, this creates additional challenges around data integrity, collection, consolidation and reporting. Increasing healthcare-technology convergence also reflects growing demand, in line with payer reliance on health economics, for real-time monitoring of patients and real-world evidence not only of drug efficacy, but of effectiveness and cost-effectiveness. Above all, it emphasises that, in a more demanding and complex operating environment, pharma cannot afford to be an island. It must learn from disruptive innovation in other industries, whether that is medtech, motor racing, digital technology, software, banking or fast-moving consumer goods. An open question, and one to ponder during 2017, is how much healthcare payers will be prepared to foot the bill for wearables and other digital-health accessories. Despite some more prohibitive market access trends in recent years, the US is still generally regarded as the first-call territory for global product launches in pharma. Most of bio(pharma) greeted Donald Trump’s US presidential win, and the accompanying Republican takeover of Congress, with a sigh of relief and a sharp rise in biopharma share prices. This spoke not only to Trump’s perceived pro-business credentials but to his rival Hilary Clinton’s aggressive stance on drug pricing, investment and competition. Yet Trump is also predictably unpredictable. He has talked about bringing down drug prices (particularly in government programmes), overhauling the FDA and shifting pharmaceutical manufacturing back to the US. He has denounced the pharma-backed Trans-Pacific Trade Partnership. At his first press conference since the election win and with only a few days to go before his inauguration, Trump said that the pharma industry is “getting away with murder” – and the government needs to take action. Forbes called his comments “Big Pharma’s Nightmare” and pharmaceutical and biotechnology shares were sold. And if Trump really does dismantle Obamacare as promised – whether wholly or partially – that could bring new competitive pressures for pharmaceutical companies. At least in its earlier iterations, the health-reform programme, with its goal of much broader access to healthcare, was viewed by many as something of a coup for the industry. On the other hand, some analysts still see a Trump presidency creating favourable conditions – including tax reform and rekindled investor enthusiasm – for a resurgence of biopharma mergers and acquisitions among life sciences industry trends in 2017. Meanwhile, the UK government’s nervous stalling over its popular mandate to withdraw from the EU means more uncertainty over regulation, mutual recognition, parallel imports, employee migration, R&D investment, and a number of other issues of considerable interest to the pharmaceutical industry. With populist and nationalist movements on the rise, more member states could follow suit in ditching the EU, seriously destabilising the Union. It remains to be seen whether all of this will add to costs and discourage inward investment, or could provide the impetus for fresh thinking about how to support and nurture indigenous pharma industries. Unsurprisingly, the UK government’s recent autumn budget statement favoured the latter scenario, with a continued push behind science, research, innovation and industrial strategy. The US Food and Drug Administration’s much-debated green light for Sarepta’s Duchenne’s treatment Exondys 5 (eteplirsen) in September 2016 put this still evolving issue in the spotlight as a key component of the pharmaceutical industry outlook for 2017. Marketing authorisation for Exondys, through the FDA’s accelerated-approval pathway, came despite a negative advisory-committee verdict that found the evidence from clinical trials insufficiently compelling to support the product’s claimed clinical benefits. However, several countries have already adopted or are trying out regulatory mechanisms to speed progress of innovative drugs to market. Many large-scale chronic diseases, such as diabetes and asthma, are now relatively well controlled. Yet there remain significant gaps in the therapeutic armamentarium, particularly for intractable conditions linked to population ageing, such as Alzheimer’s disease. 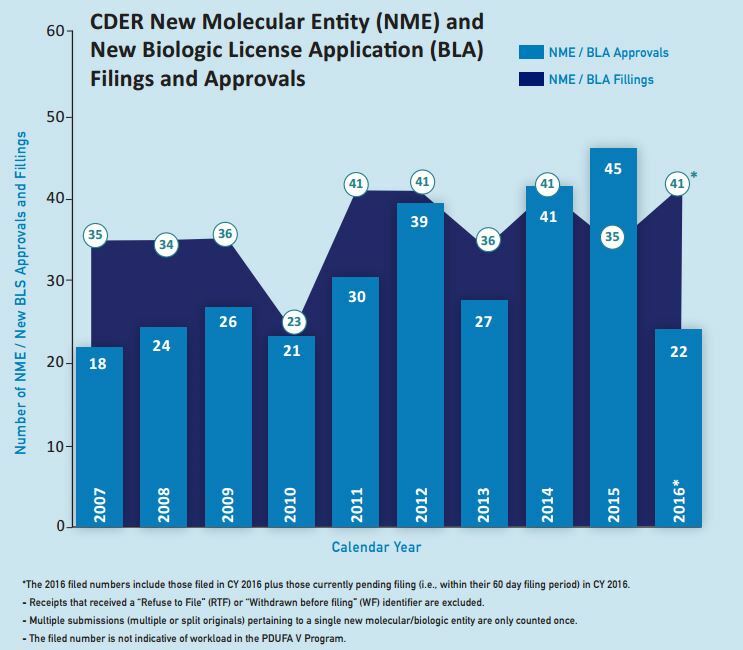 In the US the wide-ranging 21st Century Cures Act, passed by Congress in early December, will consolidate the early-approval trend by permitting more reliance on surrogate markers in clinical development. This concession has already prompted accusations that FDA approval standards will be undermined. As pressure mounts for the pharmaceutical industry to generate value by addressing truly unmet needs, it will have to face some awkward questions head on. Can accelerated, conditional or adaptive approval pathways, with surrogate endpoints supplemented by real-world data, function effectively to the real benefit of patients? And even when accelerated approval reflects intense lobbying from affected patients willing to accept a less encouraging risk-benefit equation? Clearly, some authorities are more inclined to scepticism. When the European Medicines Agency recently published a final report on its pilot Adaptive Pathways scheme, the German health technology assessment agency IQWiG voiced strong doubts about the viability of the programme. The past year has seen a number of companies, such as Valeant, Turing, Mylan, Teva and Pfizer, in the dock amid successive waves of negative publicity about pharmaceutical industry practices. These concerns centred mainly on drug pricing, exploitation of market monopolies, creative accounting and dubious promotional practices in developing and other markets. Pharma has much work to do if it is serious about being a genuine partner in healthcare and outcomes. The solution may reside in genuine, data- and technology-driven patient centricity, where industry joins with healthcare professionals, payers, regulators and its end-customers in helping to manage the entire disease spectrum. Patient engagement, linked to information access/empowerment and including more ground-level patient involvement in decisions about research and development, will be crucial to achieving these ends. So will optimising connectivity, and plugging into the whole ‘patient journey’. Mending reputational damage, and heading off further damage down the road, is one of the key challenges facing the pharmaceutical industry. Could GSK’s ethical stance on sales and marketing, along with its volume-driven business strategy, point the way for 2017 and the years to come? Time will tell, but an industry seeking to win back public and political trust is certainly one of the key pharma trends for 2017. With increasingly tight restrictions on face-to-face relationships between pharmaceutical sales teams and healthcare professionals, industry has been taking a much broader view of its sales and marketing strategy. A recent US survey by sales and marketing consultancy ZS Associates found that 53% of marketing outreach to doctors is now via “non-personal promotions”, such as email and mobile alerts, as well as direct mail and speaker programmes. While the trend towards more cost-effective multichannel marketing accelerates, there is also a risk of overload. According to ZS, US physicians estimate they spend about two full working weeks a year interacting with pharma via digital and other non-personal channels. The challenge for industry in 2017 will be to think more carefully about what customers really want and need, so that they can deliver the right information and promotions through the right vehicle at the right time as part of a more tailored, smart multichannel strategy. That must also include educational initiatives to back up a growing trend in R&D and launches towards more complex, niche-oriented speciality and orphan drugs, as highlighted in our blog on Maintaining pharma ROI as market access bites. The aforementioned trend towards speciality and rare-disease drugs looks set to continue during 2017. This is despite a marked decline last year in the volume of innovative medicines approved for entry to the key US market. The FDA cleared 22 novel drugs for US marketing in 2016, down from 45 in 2015 and hitting a six-year low. In the EU, there were also signs of a slowdown. The European Medicines Agency’s Committee for Medicinal Products for Human Use recommended a total of 81 medicines for approval – including innovative drugs, biosimilars and generics – in 2016, compared with 93 in the previous year. All the same, speciality drugs figured strongly in the FDA’s approval tally for 2016, with new options for conditions such as spinal muscular atrophy, Duchenne muscular dystrophy, hepatitis C virus, rare chronic liver disease, severe asthma, and delusions experienced in Parkinson’s disease. The US approval score could bounce back this year, particularly as the FDA said it received fewer applications in 2016 and waved through five drugs during 2015 that were slated for approval last year. Moreover, the launch pipeline for 2017 and beyond remains well stocked with speciality therapies addressing anything from rheumatoid arthritis to osteoporosis, non-small cell lung cancer, melanoma, acute myeloid leukaemia, asthma and tardive dyskinesia. Given the escalating concerns about drug pricing and affordability already noted, the continuing emphasis on lower-volume, higher cost speciality assets will further raise market-access barriers at launch and from one country to the next. At company level, that calls for even more intensive focus on efficiency and cost-efficiency. Smaller, highly specialised teams will need to drive a seamless launch engine across geographical and functional boundaries through optimal transparency, awareness, knowledge exchange and harmonisation. TRiBECA® Knowledge is a market leader in smart digital tools that help pharmaceutical companies optimise launch readiness and market access. We do this by enhancing visibility and transparency, streamlining processes, utilising business intelligence better, and driving communication and collaboration across brands, management layers, business functions and countries worldwide.